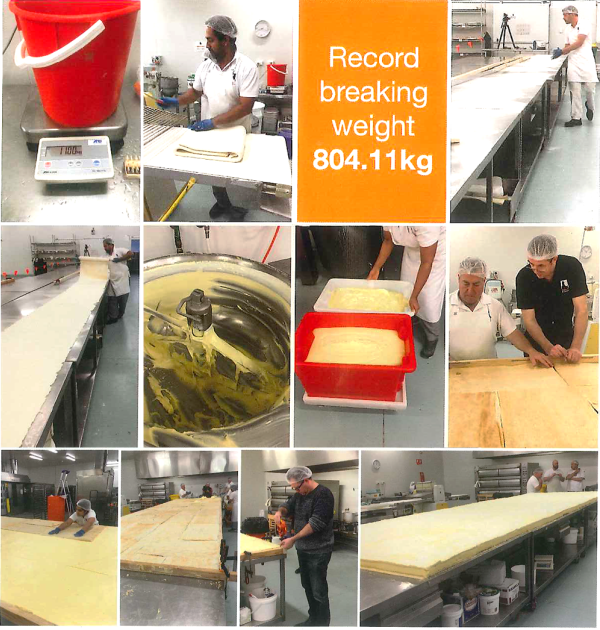 For everyone who has a sweet tooth, you are going to be amazed with Dulwich Bakery’s recent world record breaking achievement. One of Adelaide’s most popular bakery – Dulwich Bakery, recently created the world’s largest custard vanilla slice. It was a whopping 2 metres wide by 6 metres long (yes, you’ve read it right!). Weighing in at a gargantuan 804.11 kilograms, the massive slice included 604 kilograms of creamy custard, 150 kilograms of puff pastry and 50 kilograms of icing to top it all off. To achieve this mammoth feat, it took 6 bakers from Dulwich Bakery with the rest of the Dulwich Bakery team cheering them on, to create this massive custard slice all in a single day. The world’s largest custard slice was then sliced up and given to Adelaide school kids as part of the Kickstart Breakfast Program for Kids (https://kickstartforkids.com.au). What a perfect ending to such a brilliant achievement! A&D Weighing are proud to support the wonderful team at Dulwich Bakery. Well done.